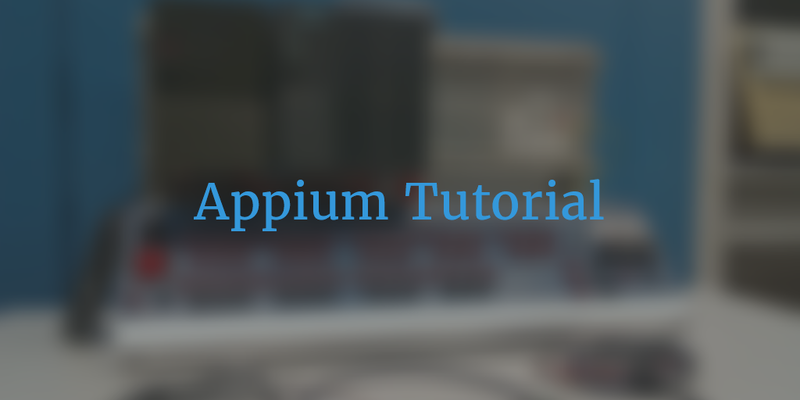 Appium Tutorial : Mobile software application's craze is increasing day by day. Also peoples are converting there current running software web sites in mobile version and creating apps for mobile application software. For testing point of view, It is very important for us to learn mobile's software application automation testing to stay connected with new technology. Appium is mobile application software testing tool which is currently trending in mobile automation testing industry. Apium is very close to selenium webdriver software testing tool. It will be very easy to learn appium software testing tool for you if you already knows selenium webdriver. If you do not have knowledge of selenium then please refer selenium webdriver tutorials first which are listed on THIS PAGE. Here i am presenting some useful tutorials on appium to enhance your knowledge and better career growth in testing field. Follow the links given bellow one by one to learn appium mobile application software testing tool from scratch. Note : All bellow given appium tutorial articles are depends on each other. Please start learning from article post 1 and don't skip any article in between. Also read each and every article properly and execute it as given in it's detail to reduce errors. Looking forward coming Appium tutorials. thank you the sharing. actuly i wanna use android studio instead of using eclipse.so plz tell how to do that? i wanna use android studio instead of using eclipse,so plz tell me how to do that. Can you please give some live example of a testing done like step-by-step or something? Thank you so much !!!! You did a great job !!!! Great work of knowledge sharing with such detailed article! Really appreciate all the hard work behind this. Thank you very much!! I have no practical knowledge about selenium,but i know theory.So anyone suggest me that how to practice selenium.